The new drinks cabinet in walnut and steel includes a pull-out serving shelf for drinks preparation. The shelf resembles a tray, with the front, back and side edges proud of the panel. Today I jointed and glued the shelf together. I find that a childs toothbrush and some water are perfect to remove excess glue. The bookmatched #veneeers are glued to the boards and placed into the heat press for 10 minutes! This was a revelation to me. I have only used a vacuum bag press before which takes hours and is quite noisy. Thank you Ned for the use of your press. Next I took all the veneering tape off whilst the panels were still hot. This took only a few minutes. 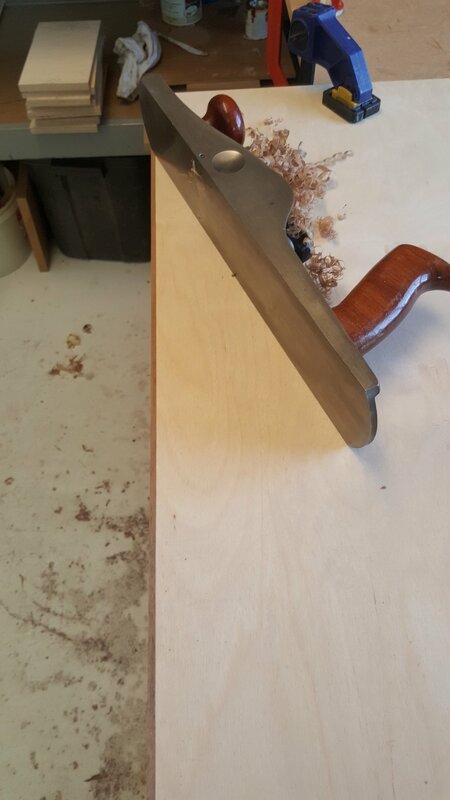 Back in Bermondsey I trimmed the excess veneer and and sanded back. 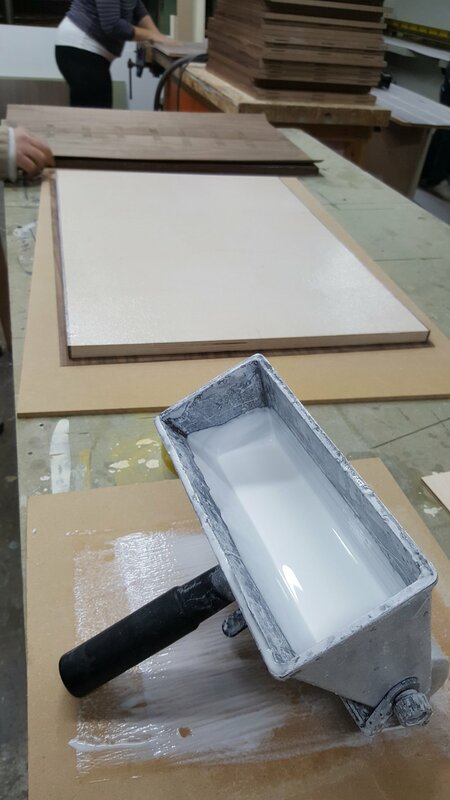 The panels are now ready to joint into a carcass. New drinks cabinet in walnut and steel. 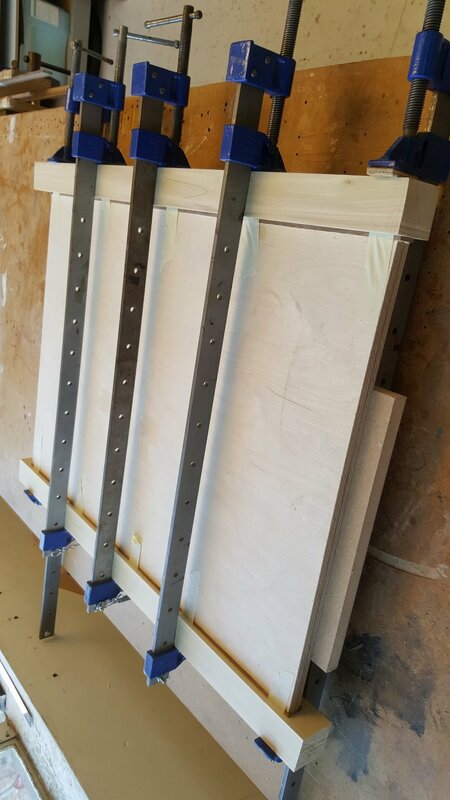 Plywood panels prepped for veneering. 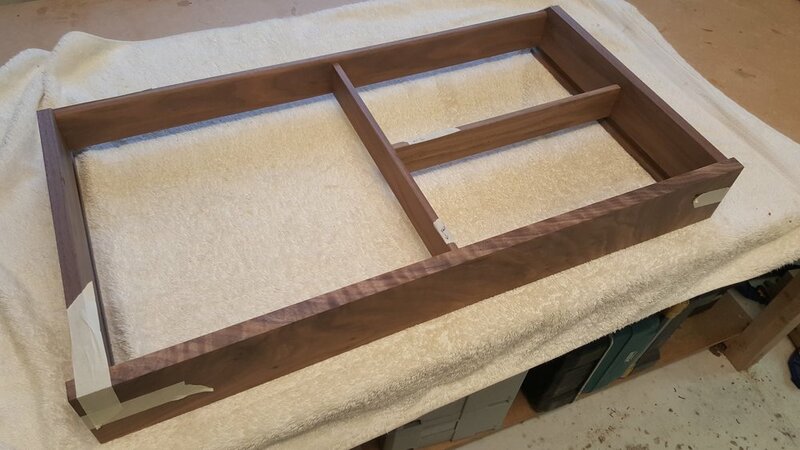 First we glue solid walnut lippings to the panels before gluing the bookmatched veneers in place. Next Project is a #lacewood dresser with a touch of Luxe. We start with a very expensive floor of #quartersawn #londonplane boards. Last year we installed these lovely walnut cabinets in the second bedroom of a house in North London. The client requested the specific burr for the doors, the book-matched leaves suggesting a nautical theme with spindle fish and jellyfish. The project also included twin chest of drawers for the master bedroom and hallway console and mirror. New Heliconia Furniture website launch!